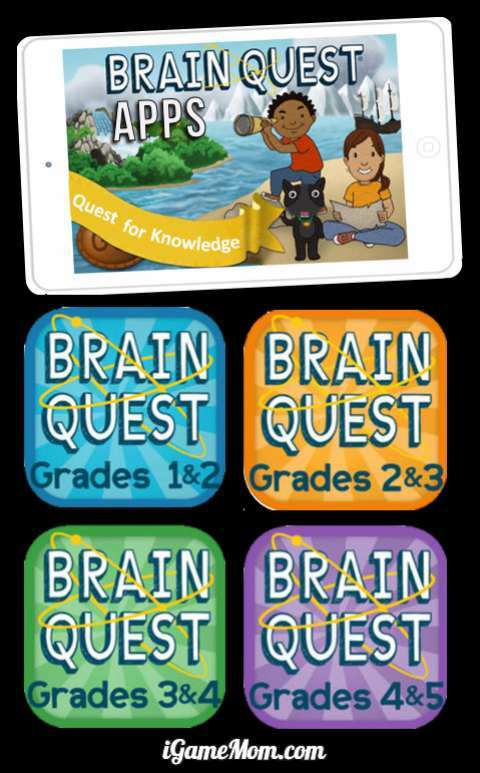 My son used Brain Quest a lot when he was younger. We both liked it. For some reason those Brain Quest questions are just fun to answer. It is compact and small for easy carrying around. Depends on the time you have, you can answer 20 questions, or you can answer one question. The questions are all academic, but cover a broad range of subjects, math, science, history, language, etc. 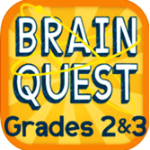 When I found out Brain Quest app, I downloaded it right away. It is like a portable Brain Quest Workbook, since it is with you wherever you go, whenever you need it. There are 4 apps in total, covering grades 1-5. Each covers two grades. The first app covers grade 1 to 2, the 2nd app covers grade 2 to 3, … Each app covers all relevant subjects for the corresponding grade levels. I like the fact that it is curriculum-based, and it covers a broad range of subjects. In addition to math and reading, kids also learn history, geography, science, and more. It is more like a trivia challenge game. Kids will learn while playing fun games. It works on iPhone, iPod, iPAD. It is $2.99 for each. There is also a version for Nook. With all the work being done on brain plasticity and programs such as cog-med, one would think that you would be able to find apps that do the same and help kids develop working memory and processing speed. A game like like Simon-says would be interesting as bot a memory and speed builder. Are you looking into those? there are brain game apps out there, lumosity app is one of them. This looks perfect for Jake, Thanks!